Item description: Report of Brigadier-General Whiting, C. S. Army, commanding defenses of Cape Fear River. 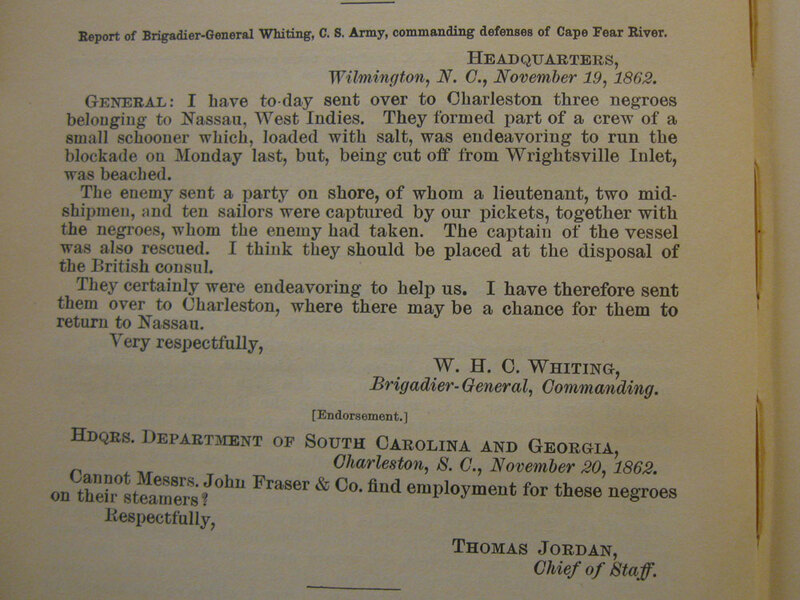 This entry was posted in North Carolina Collection and tagged African Americans, blockade, blockade running, Cape Fear River, naval operations, salt, West Indies, Wilmington. Bookmark the permalink.